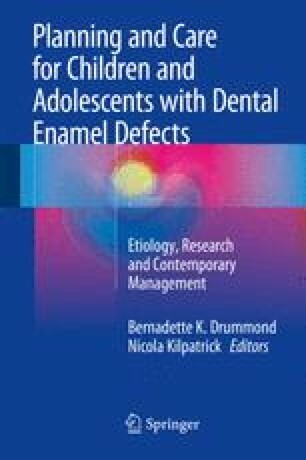 This chapter sums up the information provided by an international group of authors on dental enamel defects (DDE) in children and adolescents. It comments on the difficulty of identifying defects in individuals based on indices that have been developed for prevalence studies. It comments on the significant impact DDE have on quality of life and notes the difficulties in providing care that exists because of limited evidence of outcomes from different procedures. Finally it encourages clinicians to work with dental specialists in early childhood to plan the best available path to the permanent dentition.